Welcome to Rye Therapeutic Massage. Jason is a Licensed Massage Therapist in both New Hampshire (#2878M) and Massachusetts (#1915). 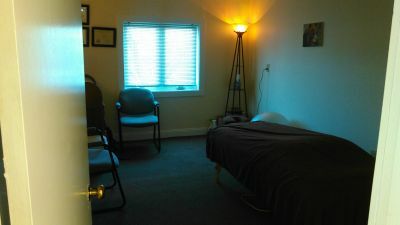 The massage office is at 1247 Washington Road in Rye New Hampshire, near the intersection and set of lights of Washington Road, Breakfast Hill Road, and Route 1. Rates for massage in the office are straightforward: $85 for a one-hour massage, $115 for a 90-minute massage, $145 for a 2-hour massage, and tips are not expected as this is an independent and local small business. Appointments are scheduled with enough time between appointments for filling out the one-page intake form and for everyone to have time to ask whatever questions need answers so that you can get the best possible results from your massage. Also, that extra time allows a relaxed pace and plenty of time for the massage to be the full-time. Jason's massage style is a blend of "Deep Tissue Massage", Orthopedic Massage, Connective Tissue, Neuromuscular Therapy, Reiki, Polarity, Craniosacral Therapy, and Shamanic Healing. Simple and hypoallergenic massage creams and oils are available including 100% pure Shea Butter and pure Jojoba Oil. 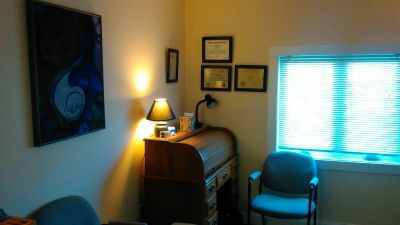 Most people coming to Rye Therapeutic Massage are seeking relief from some kind of pain. Some are looking for massage to treat headaches. Others are looking for massage to ease back pain. There are also people looking to heal from sports injuries and improve athletic performance. Finally, the most common issue that clients are dealing with is job related stress; it's easy to forget how much it challenges the body to sit at a desk for hours a day and then have to drive to and from work. Most clients find that massage can help them, and they get good results from massage and bodywork at Rye Therapeutic Massage. Jason is committed to serving everyone and treating everyone equally and without judgment. Everyone should be treated with respect and dignity regardless of race, gender/gender identity, sexual orientation/preference, marital status, age, or handicap. Note: if you are under the age of 18, you will need a parent or legal guardian to sign the intake form and to say it is ok for you to receive massage. If you have any medical conditions then we will work together to provide a massage that gives you the greatest benefit without causing harm.